Jacinda Ardern baby: How Jacinda Ardern met her partner Clark Gayford. Less than 24 hours after a terrorist murdered 50 people in a mass shooting at two mosques in Christchurch, New Zealand’s Prime Minister Jacinda Ardern uttered the words her country was waiting to hear: “our gun laws will change”. In making this swift decision, Ardern made New Zealand a safer place for all families to grow up in – including her own. 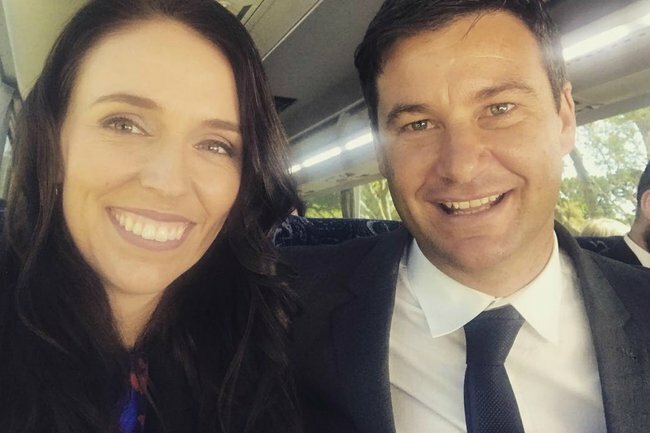 Just hours after the news broke, Ardern’s partner Clarke Gayford posted a tribute to her on Twitter. He said while their nine-month-old baby, Neve Te Aroha, had given them the gift of crawling that day, her mum had given her the gift of growing up in a safer country. Ardern and Gayford first met in 2012. She was a Labour MP and he was TV personality, most known for his show Fish of the Day. Gayford was hosting the Metro Restaurant Awards and Ardern was attending the event with model and TV personality Colin Mathura-Jeffree, who had been featured on the cover of that month’s Metro magazine. The pair later spent time together when Gayford approached Ardern with a constituency issue. They met for a coffee. Then another. Then another. Their coffee dates eventually turned into something more serious. For their first official date, Gayford took Ardern fishing. He later told the New Zealand Women’s Weekly that he knew Ardern was the one when she caught a “5.4kg snapper.”. “The signs couldn’t have been clearer,” he said. “We don’t really talk about it publicly. She’s definitely been the best thing that’s ever happened to me. I didn’t know what it meant to work hard until I started seeing what she does on a daily basis,” Gayford told the NZ Herald in 2016. In June 2018, the couple welcomed a daughter together who they named Neve Te Aroha Ardern Gayford – or Neve Gayford for short. “When we met her we thought she looked like she suited the name,” Ardern told reporters at the time. Aroha in Maori means love and Te Aroha is also the name of a mountain near Ardern’s hometown. “Te Aroha was our way of reflecting the amount of love this baby has been shown before she arrived and all of the names we were gifted along the way (by various iwi – or tribes),” she explained. When little Neve arrived, they decided Gayford would put his career on hold so he could stay at home with her. Gayford and Neve often accompany Ardern on international visits. 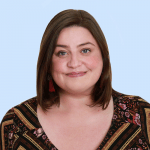 “We weighed it up and we decided that her job was possibly slightly more important. It was always on the cards to work out that way. I’ve always been completely supportive of Jacinda and I believe in what she’s trying to achieve for New Zealand. So, it was easy for me to make that call. There are plenty of males out there that do that,” the dad-of-one told the Australian Women’s Weekly. “He’s exactly as I expected him to be, completely doting, very dedicated, really patient. I feel they’ve got in-jokes already, I don’t even know how that’s possible, but they do. And he of course will dress Neve, so there are a lot of ‘I heart Dad’ socks and shirts,” Ardern told Woman’s Day. Like many New Zealand families, Ardern, Gayford and Neve are now resting a little easier, knowing their world is a bit safer.